Father Michael Ainsworth, Rector of St. George-in-the-East Church at Shadwell for the past seven years, decided to mark his retirement on 28 September with a traditional Anglican Evensong for Michaelmas, the feast of his patron, to which members of his congregation were invited as well as clergy and friends from neighbouring parishes and across the ecumenical spectrum. 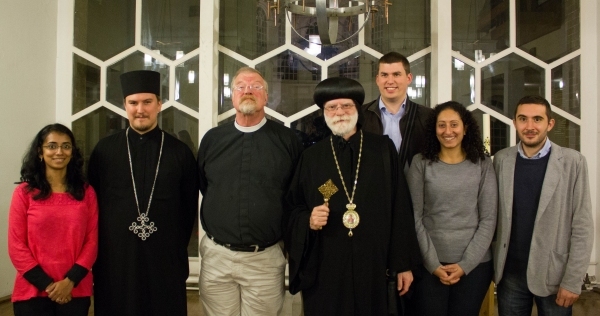 As ‘tenants’ of the Church, the British Orthodox London Mission was also anxious to share in the fond farewell of a priest they have come to respect and love and Abba Seraphim attended with some of his Orthodox parishioners. During the three years during which there has been Orthodox worship in his church, Father Michael has attended many liturgies and, afterwards, shared the antidoran he has received with his own congregation the next morning. 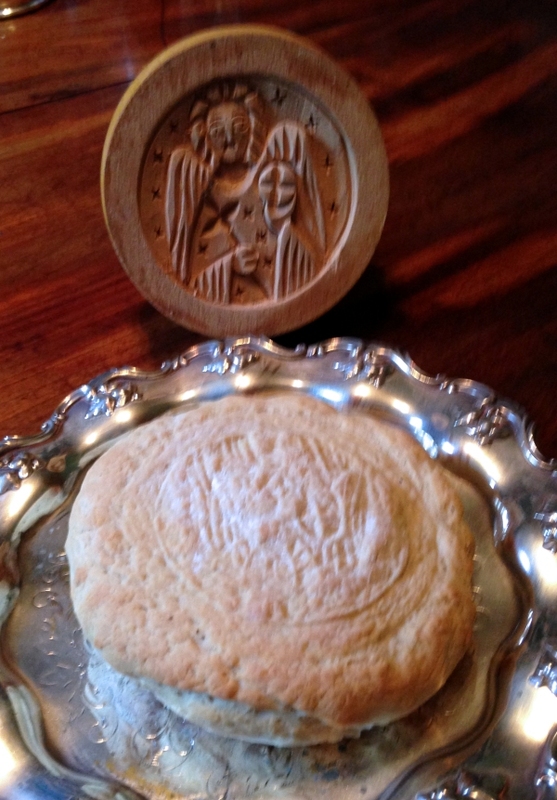 In recognition of this symbolic fellowship, Abba Seraphim baked a traditional Coptic Archangel Michael bread and presented it to Father Michael, who immediately placed it with the celebratory food marking his retirement. Father Michael and his wife, Janina, will be returning to their northern roots when Janina becomes Rector of St. Maxentius, Bradshaw, in Bolton.